Custom Simply Irresistible with 0.46 carat Round Brilliant Center - 14k White Gold - Ring Size 6.5-9.0 was added to your cart. As its name suggests, this ring is irresistible. The three Round Brilliant cut Contemporary Nexus Diamonds™ represent the past, present and future of a life filled with love. 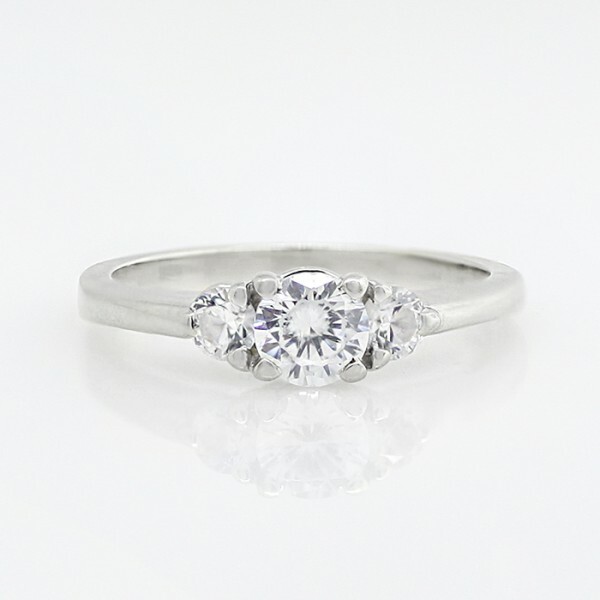 The smooth band and simple straight prongs allow the shining stones to be the focal point of this beautiful ring.